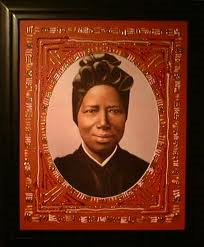 On the feast day of St Josepine Bakhita, February 8 we recall that Josephine Bakhita, who was born in Southern Sudan in 1869, was kidnapped as a small girl and sold into slavery in both Sudan and Italy. After she eventually gained her freedom, she became a Canossian Sister and spent the rest of her life caring for others. In 2000 she was canonized a saint and declared patron of people who have been and are still being trafficked into slavery. May all civic and religious leaders follow the example of Pope Francis in speaking out against human trafficking and dedicate time and resources needed to eradicate it. May wealthy countries be more generous in supporting impoverished nations so that people everywhere may have a decent standard of living and thus escape desperate circumstances that may make them vulnerable to being trafficked. May we renew our efforts to work together so that men and women will no longer be trapped in bonded labour in fields, market gardens, mines and factories or subjected to domestic servitude. May we reduce our demand for cheap goods and services so that workers’ conditions and payment will reflect their true dignity. pray for us as we recommit to working to eliminate human trafficking and slavery in all its forms.